Lop-eared rabbits are easily recognizable due to their large, floppy ears. The American Rabbit Breeders Association currently accepts five varieties, and new lop-eared rabbit breeds are constantly being bred. Lop-eared rabbits are very popular with house rabbit owners, but sometimes their characteristic ears also need a little extra attention. Make sure your lop's ears are clean on both the inside and the outside since these ears can be prone to a build-up of debris. One of the largest breeds of lop-eared rabbits, the French lop was developed in France by crossing two existing breeds of lops. French lops weigh in at around 10 pounds and have ears that hang below the jaw and reach over a foot long. They should be housed in a large outdoor enclosure with a companion rabbit or indoors with plenty of space to exercise. These are not the most commonly seen type of pet lop but their ears are impressive to see if you ever get the chance to meet one. Not to be confused with the United Kingdom's dwarf lop or miniature lop, the mini lop is the second smallest lop-eared variety in the United States. The mini lop is very popular at rabbit shows and can weigh up to 6.5 pounds (larger than many people imagine a mini lop to get). Housing requirements are not as demanding as the larger lop varieties according to the Mini Lop Rabbit Club of America. These lops are very commonly found as house rabbits. One of the two pre-existing lop-eared rabbit breeds used to create French Lops, English Lops are the original lops. They grow to be around 11 lbs. and are known to be quite inactive, so obesity is a major problem with the breed. A large hutch is required because of their size. Their ears average 20 inches in length, the largest of any rabbit breed, and at four weeks of age, their ears are actually longer than their body! Distinctively short and fluffy wool sets the American fuzzy lop apart from the similar Holland lop. 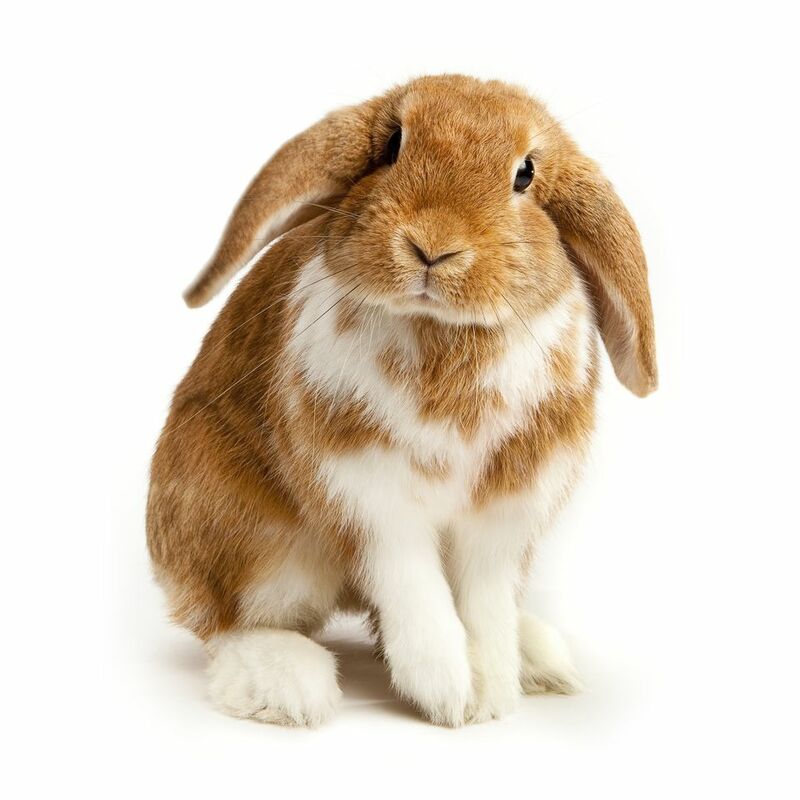 Reaching 4 pounds at adulthood, this variety of lop-eared rabbit is very compact and resembles the Holland lop, except for the wool coat which is very similar to that of the Angora rabbit (a cross between the Holland lop and Angora rabbit). They are very playful, full of personality and enjoy companionship with people and other rabbits. Their wool can be difficult to keep clean and manage. Averaging 3.5 pounds, these lops are the ideal house pet. They are non-aggressive and are different from the American fuzzy lop in that they have fur, not wool, and they are a true dwarf variety. They are small and make great little house pets. These are highly popular rabbits for kids due to their small size. Two up and coming varieties of lop-eared rabbits are the velveteen lops and plush lops (a cross between the standard rex and dwarf lop). They have luxurious rex rabbit fur (very short, soft fur) and are currently being developed to be accepted by the American Rabbit Breeders Association. Despite not being officially recognized by the ARBA quite yet, these new breeds have their own followings for good reason and can be purchased from breeders. 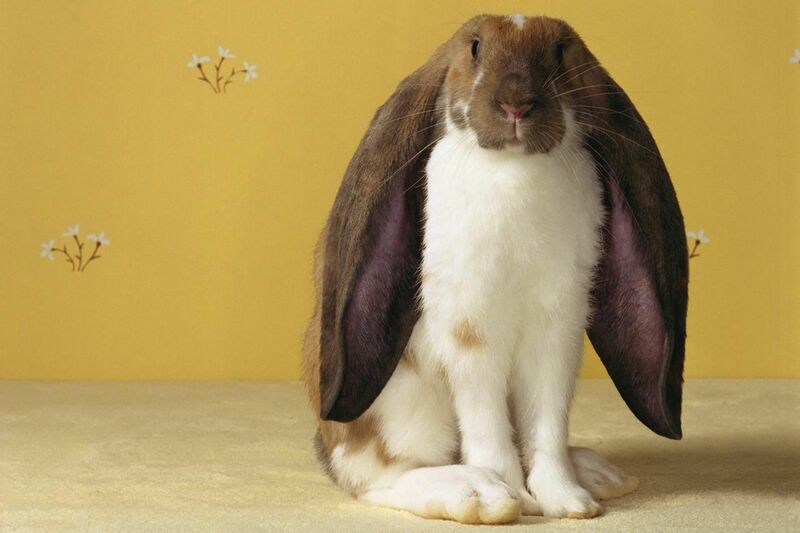 In addition to basic rabbit care, all lop-eared rabbits require special attention to their ears. Due to their size, folded position, and delicate nature, injuries to and infections within the ears are common but easily avoided with proper care. Lops can be purchased from private breeders, pet stores, county fairs and 4-h clubs, or adopted from a rabbit rescue organization. Pet store, county fair, and 4-h rabbits are typically inexpensive, averaging about $20. Private breeders charge about $40, but show-quality rabbits may sell for much more. Prices will certainly vary depending on the breed and show the history of the rabbit and rescue rabbits are certainly widely available if you do not have as big of a preference.